We’ve all wished we could splurge and hit “book” on a ticket to our dream destination. But then reality sets in once we see the final fare upon checkout, and instead we have to settle for planning a trip to the park instead of a trip to Paris. The truth is, you can book cheap flights to just about anywhere in the world with the help of several websites that scour the web for airfare glitches, secret deals, error fares and discounts. 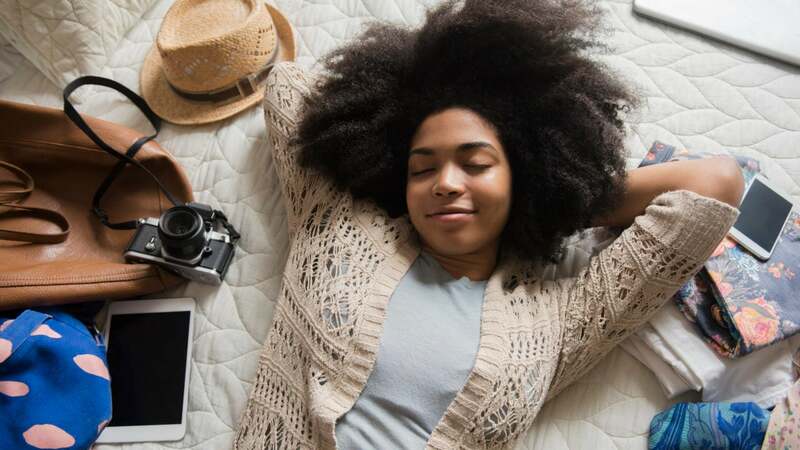 To help bring your #travelgoals to life, we’ve put together a list of websites you’ll want to keep hitting refresh on to score sinfully low flight deals. This website is an OG when it comes to constantly sharing flights deals to and from just about anywhere in the world. The best part about it? The site offers a broad range of offerings. You can find flights out of many US cities to some of the most exotic and unsung parts of the world for cheap! If you like to country hop, this is a great site to religiously check even when traveling, so you can visit new destinations for virtually pennies. The site adds dozens of new deals every day, so bookmark it and keep that finger on the refresh button, sis! Vikkie is a travel blogger who specializes in finding great flight prices and sharing them with her followers and subscribers. After subscribing to her newsletter you’ll be signed up to get her, “You paid how much…?” emails listing great travel deals for every budget. Each post is sorted with a, “Get out of the country for…” heading, listing each place you can travel to for $300, $200 and on the rare occasion $100. Yes, you read that right! The link take you directly to Google Flights to see all the locations available within your budget. Even better, you can track the flights via Google Flights to see how the prices fluctuate. Vikkie then organizes all of them by cost, so you can head straight to your budget section and search for locations. Essentially, Vikkie does the work for you! I’d been craving a trip Thailand for months but the flight prices were ridiculously high. One night while browsing The Flight Deal site to see what other locations might have interested me, I refreshed the page and saw a new post: New York to Phuket for $500! I was thrilled and instantly booked my ticket. I don’t know if the prices had suddenly dropped, or if this was an error fare they’d recently found, but all I knew was The Flight Deal was my plug to finally get to Thailand for a great low price. Another star player in helping to land flight deals at low prices is Airfare Watchdog. The entire site is chock full of travel news, tips and advice with a laundry list of great flight deals to bucket list locations that probably weren’t on your radar. The “fare sale” section is the best, and lists all of their amazing (and cheap) flight finds. They show you unadvertised fares, nationwide flight sales and the tea on when feuding airlines drop flight prices — all in our favor, of course. With sites like these, it’s a must that you keep your travel schedule flexible. Fares on these sites are allotted for specific dates and expire very quickly. These low fares are typically unavailable for travel during the Christmas and New Year’s holidays, for obvious reasons, but you might be lucky and find a few. New dates, locations and prices pop up all the time, especially in the middle of the night, so keep your Google search tabs open and frequently hit refresh!